This module will turn all your links into Ajax. 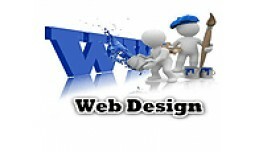 Every page will be loaded via Ajax but this will not affect your SEO. 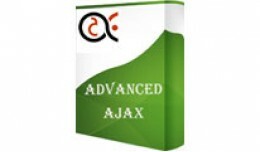 The module includes admin panel where you can enable or disable the module and put links which you don't want them "ajaxed". Th.. 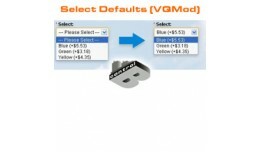 Select Defaults (VQMod) by Control B Removes the "Please Select" option from all product page option select boxes, making the first option the default choice. INSTALLATION 1. 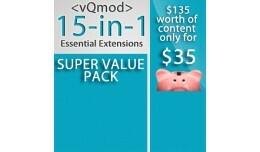 Make sure you have VQMod installed and enabled 2. Upload the.. 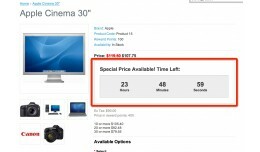 This modification show a countdown on the product detail page if there is a special price available. This countdown will push people to buy and checkout the product as they can see the special price will off soon. INSTALLATION: 1.) inst..
Bot checker for Opencart 15x. Tested with 1513 and 1521 work great. 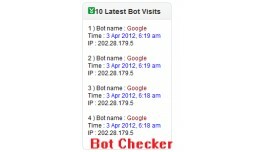 This module will show bots name,time,ip that visit your site. 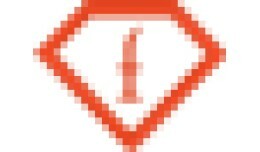 All Products Page For 15x(15131 up only). By Amdev. 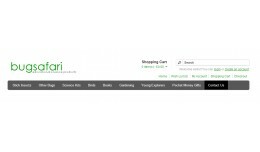 ================================== Page for display all products of your store!!! Easy installation. No files overwritten. 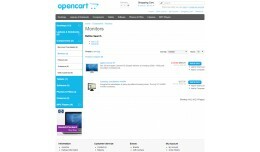 Free add-on... demo: http://demo.opencart2u.com/index.ph..
1.5.2.x-1.5.3.x -1.5.4.x- 1.5.5.1 Opencart Lin-ten v1 Lingerie Template Demo: Demo Versions: 1.5.5.1 1.5.2.x 1.5.3.x 1.5.4.x English language support and FW Png File for module heading title free installation support m..
1.5.3-1.5.4-1.5.5.1-156x Opencart Lin-ten v1 Lin.. Guest Check Out Email Verify(vqmod) - - This extension allow auto check of the existing user when guest check out via email address. - If a email address is already been signed up, a hint for login (with direct link) will show up. - The mess.. Guest Check Out Email Verify(vqmod) - check exis.. 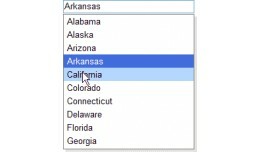 This extenstion will replace the default category menu. Included Files: *extensions/jquery_ui_category_menu/jquery_ui_category_menu.css *extensions/jquery_ui_category_menu/img/background.png *extensions/jquery_ui_category_menu/img/icon.png.. This adds a link in the header list of categories, which directs the user to the 'Gift Vouchers' page. Greatly increase the views and sales of gift vouchers with this prominent link. This is not a VQMod. __________________________________.. Gift Vouchers Category Link - Gift Certificates .. This adds a link in the header list of categories, which directs the user to the 'contact us' page. Make your contact details much more obvious and increase sales with this prominent link. This is not a VQMod. ____________________________.. 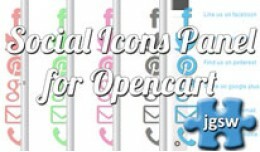 Contact Us Link in Top Menu - Contact Us Categor..
Social Icons Panel for Opencart - Complement Your Social Media Buttons A nice set of vector icons that are at a fixed position on the right hand side of your store. When the user hovers a set of links to each of the social sites slides out..
Open cart Autocomplete search *Note: Take backup of your old files before replace this files or Take back og all your files for safe Replace the files by upload the catalog file in your root folder Autocomplete populate product list wit.. This will help you hide any links that an admin user is not granted. Instead of having all the denied links forwarding to an access denied page "please ask your administrator"... this will simply hide restricted menu items. Whether it be e.. It is an extended version of a very nice mod of Tymoteusz Lesniak, that you can place fixed position also for filters column at the left bar. 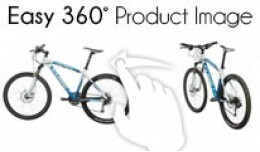 Very useful when you scroll down to see products list. Tested for OC v.1.5.6 but i believe will work ..
Nav bar & left column fixed position. 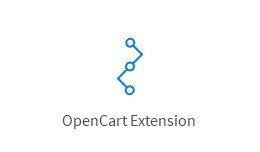 SAVE $100 AS A BUNDLE ($135 WHEN PURCHASED SEPARATELY) Greatly improve the functionality of your OpenCart store with this essential extensions package. The majority of the features in this extension are SEO oriented and provide an excellent ..
15in1 Best Opencart Extensions - Essential Exten..